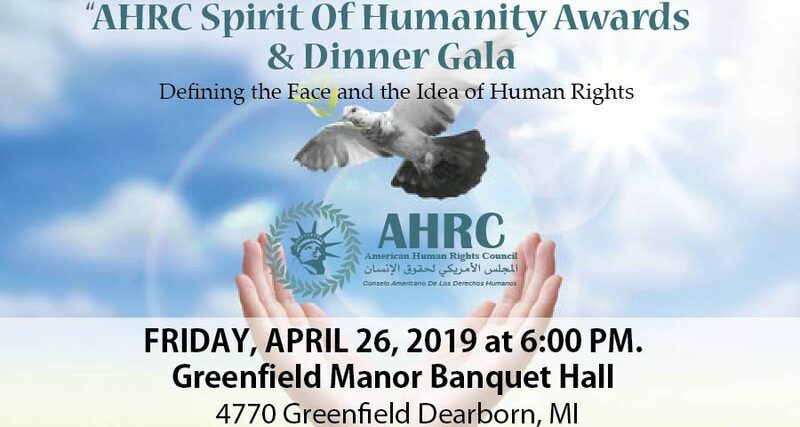 The American Human Rights Council (AHRC-USA) is determined to continue its tireless work defending, promoting, protecting and advancing human rights in America and across the globe. We thank you for your 2018 Gala support. 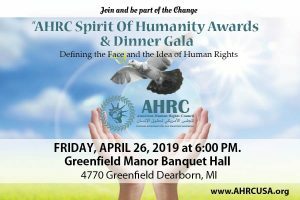 We hope that you will include us in your 2019 plans and consider being a proud supporter again, supporting AHRC and the cause of human rights. AHRC welcomes early commitment and sponsorship for our 2019 Gala. Your continued support will help us continue our diligent work serving humanity and advancing the culture of human dignity and human respect at home and abroad. 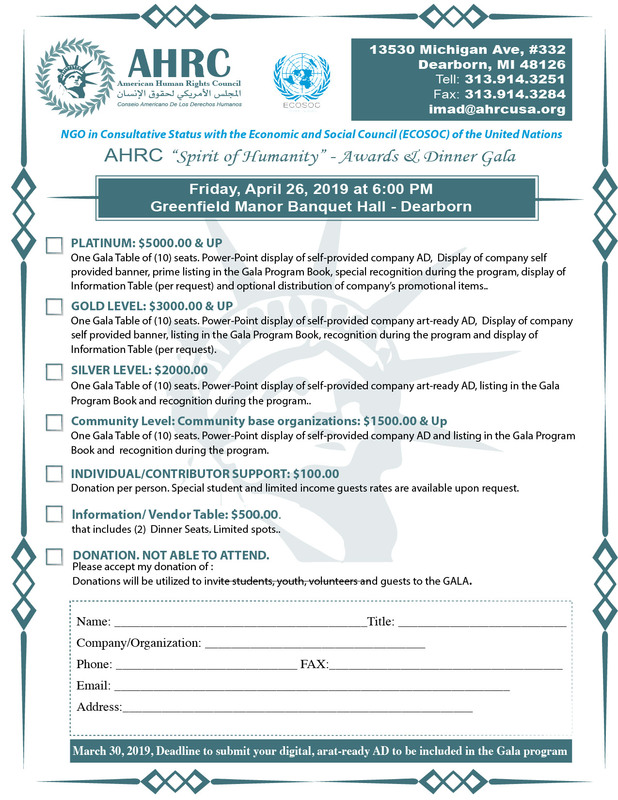 We promise that our “Spirit of Humanity” Gala on Friday April 26, 2019 will be memorable. For more information, please contact the AHRC office at Imad@ahrcusa.org or call 313-790-8453. We thank you in advance for considering including AHRC part of your future review and plans for the year 2019.